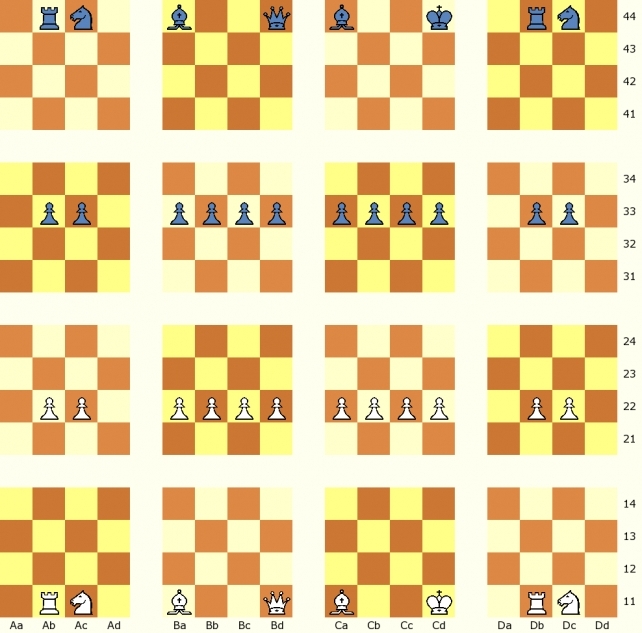 TessChess is a 4D chess game that features symmetrically-moving pieces. Click the image below to play on Game Courier. TessChess. 4D chess featuring symmetrically-moving pieces.